I was married when I was 23 but we knew we weren’t ready to start a family right away. A couple of years later my husband decided that he didn’t want any children. I tried to resign myself to not being a mom, but it was tough. I ended up having a cancer scare with a suspicious ovarian cyst when I was 27. It turned out to be nothing, but it brought up a lot of questions about my fertility and the kind of life I wanted. We divorced two years later after months of couples counseling. I knew that I wanted a family, he knew he didn’t. Besides that, I came to the conclusion that he wasn’t the right match for me for a variety of other reasons. I met and fell in love with my current husband 5 years later. We started trying 6 years ago when I was 35. We were healthy, active and in our mid-thirties. We got our first positive pregnancy test on our very first month trying. We were elated. Sadly, it turned out to be an ectopic pregnancy. I needed surgery but they were able to save my ovary and tube. Doubt took hold after that experience. Getting subsequently worse prognoses with every fertility consultation, we questioned whether we would ever become parents. We believed every word of what we were told: low morphology, low AFC, high FSH, blocked tubes, etc. I was told that I’d start menopause within 2 or 3 years. That was in 2010 when I was 36. We opted for IVF after a year and a half of trying on our own and our son was born in 2011 from our first round. Now for the next chapter: We’ve had 4 failed IVF’s, one chemical pregnancy and one miscarriage since the birth of our son. I wanted so desperately to become pregnant again and to give birth to another baby, but I had lost the optimism I felt when we had first started trying. I believed every word that those well-meaning doctors had said and although I hoped and prayed, I realize now that I didn’t really believe it could happen. I wasn’t confident. I didn’t trust my body. I was emotionally detached from my body. Don’t get me wrong. I did all the right things. I ate well. I took supplements. I started acupuncture. I exercised (although not as much as I could have.) But still, I felt something was missing. I felt it had something to do with the mind-body connection. After a miscarriage at 12 weeks I became quite severely depressed and desperate. I sought professional help but I still felt detached and that I was missing out on my life, my son’s life, my marriage and my friendships. 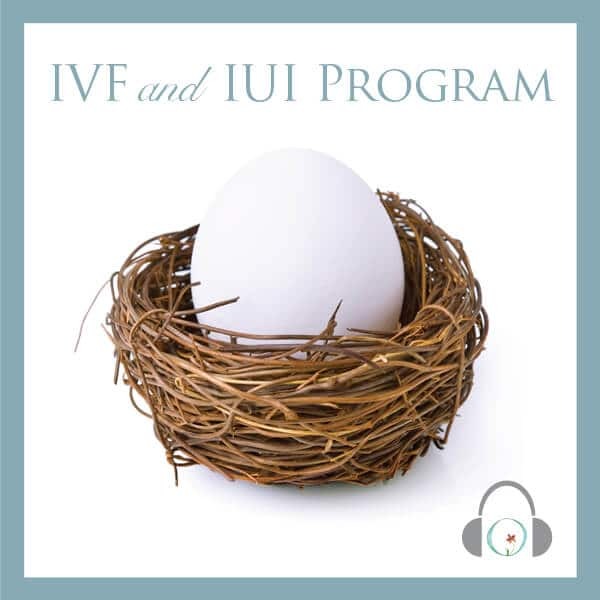 Before our last round of IVF (which I knew would be my last since we couldn’t afford any more) I happened to get an email about the Fertility Focus Telesummit hosted by Sarah Holland, which would be starting right around the start of my cycle. 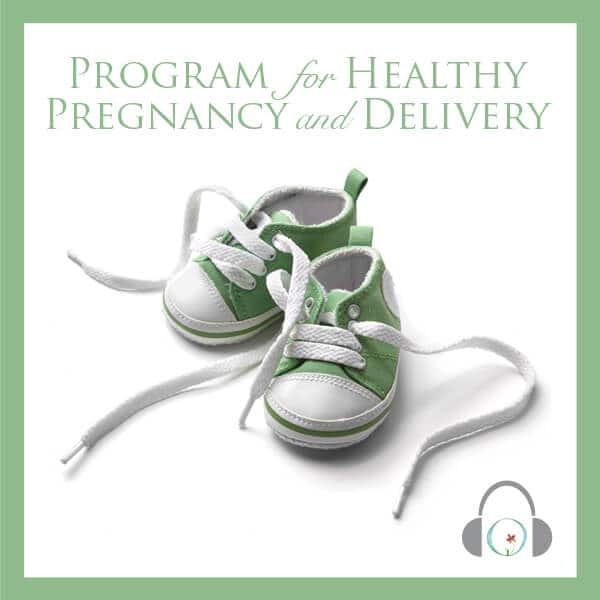 I signed up and listened religiously during the many drives to and back from the fertility clinic (2.5 hours each way). I heard so many inspiring stories. I FINALLY felt that I wasn’t alone. There was a whole community out there to offer support through my fertility journey. The one thing that stood out to me was that nearly everyone who shared their story had a poor prognosis or one or more miscarriages, yet for many, after a change in attitude or after dealing with a certain emotional issue, they finally had a successful pregnancy. Unfortunately my IVF cycle did not result in pregnancy, but the egg quality and sperm quality improvement over our previous cycles were incredibly encouraging. I was sure it had something to do with my change in attitude which was also incidentally rubbing off on my husband. I was suddenly very optimistic that it could work naturally. I didn’t feel as impatient. I felt that my baby would arrive when it was ready. 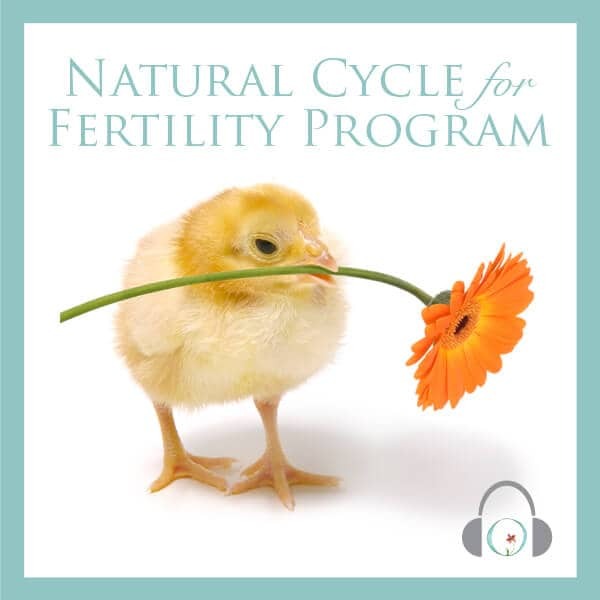 I heard an interview with Joanne from the 2010 Telesummit and I decided to purchase the Circle + Bloom’s Natural Cycle for Fertility Program. I added these to the visualizations I was already using. I can’t say I was completely zen, but I was definitely more at peace than I had been in years. I truly believe that the Circle + Bloom guided meditations, in conjunction with the others I was listening to, changed my physiology as well as my state of mind. The very next cycle, a few weeks after my 41st birthday, I got a positive pregnancy test and I am 100% certain it’s due to the mind-body work that I had done. I’m now at 27 weeks and baby’s doing great. I still have to deal with the fear of loss but I use the visualizations to get me through. It’s strange how the mind-body connection is often one of the last things we look at. We seem to only look at it when we’ve run out of other options. Yet, it’s the least expensive and least invasive thing we can do. Plus I feel it’s made me a better mom to my son and a better partner to my husband. Guided visualizations are so easy to do. 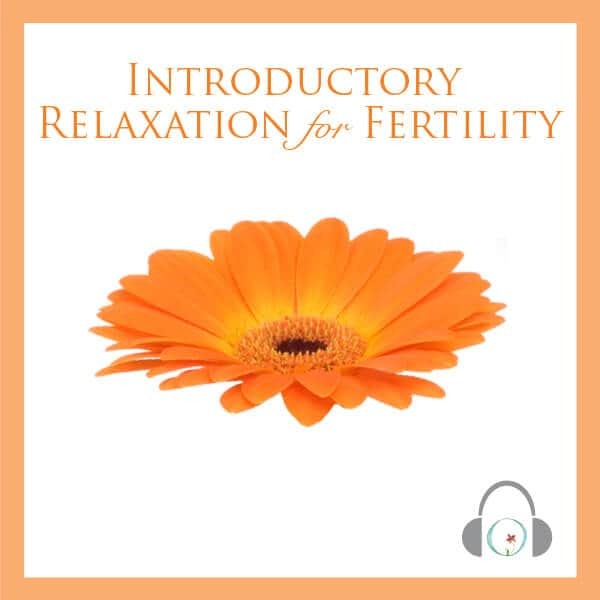 I recommend them to anyone, wherever they may be on their fertility journey. After 3 years and 40 cycles trying for our second child we got a positive pregnancy test less than two months after starting visualizations and mind-body work…my first cycle using the Circle + Bloom Natural Cycle Program. Thank you Circle & Bloom! !